The movie never got made, but a new graphic novel by a Houston native brings it to life. 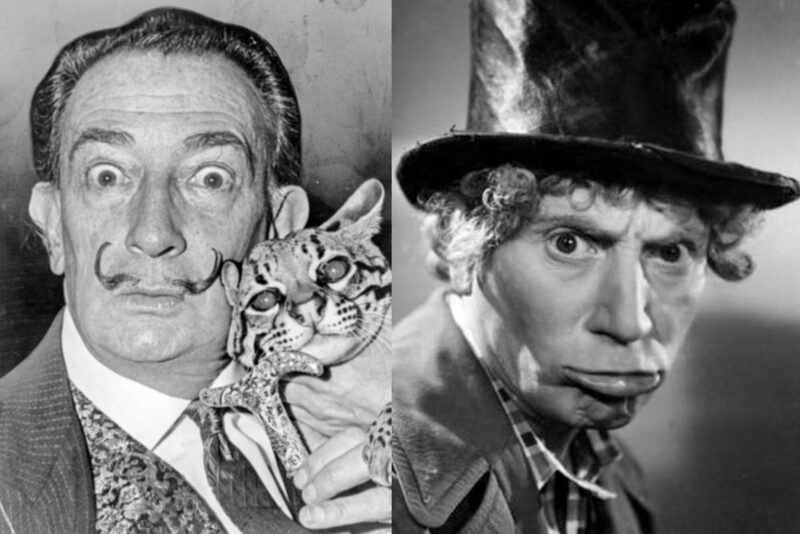 Salvador Dali and Groucho Marx. 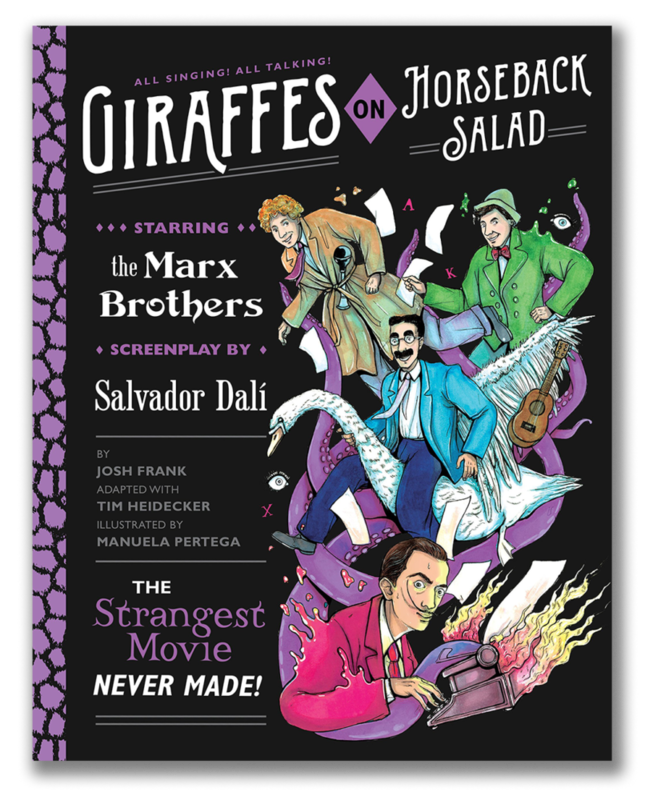 In the 1930s, comedian Harpo Marx and surrealist painter Salvador Dali collaborated on a screenplay called Giraffes on Horseback Salad. For real. The proposed film was, as you might expect, surreal. It told the story of a Spanish businessman who falls in love with a woman whose face is never seen and who possesses strange powers. At its core, it was about the dichotomy between imagination and logic. MGM, the studio they brought it to, passed on the project and it never saw the light of day. Now, a new graphic novel by the same name has revived the Marx-Dali screenplay in an adaptation by author and Houston native Josh Frank and comedian Tim Heidecker with illustrations by Manuela Pertega. In the audio above, we talk with Frank about his love of the Marx brothers and his journey through the history of this film that never was. Frank is town for a Brazos Bookstore event tonight (April 5) and an event with 14 Pews Saturday night. Houston native Josh Frank is the author of a graphic novel based on a screenplay collaboration between Salvador Dali and Harpo Marx.